Antique Turkish Mujur prayer rug of classic design with a superb range of colours. www.knightsantiques.co.uk Size: 6ft 1in x 4ft 9in (186 x 145cm). Mid 19th century. 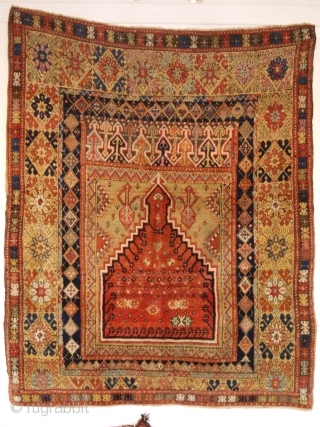 Mujur is in central Anatolia, this rug is of a classic design for this town, the simple soft red central panel surrounded by a field of soft yellow / green, note the two ewers either side of the mihrab. The border design is typical of this area. The rug is in good condition with some slight wear and generally good pile. The wool is excellent and the pile is long and glossy. 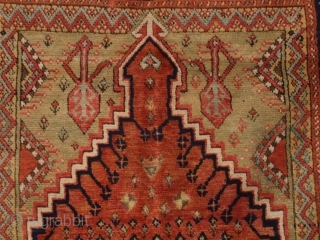 The rug has a very soft and floppy handle. The rug has been hand washed and is ready for use or display. 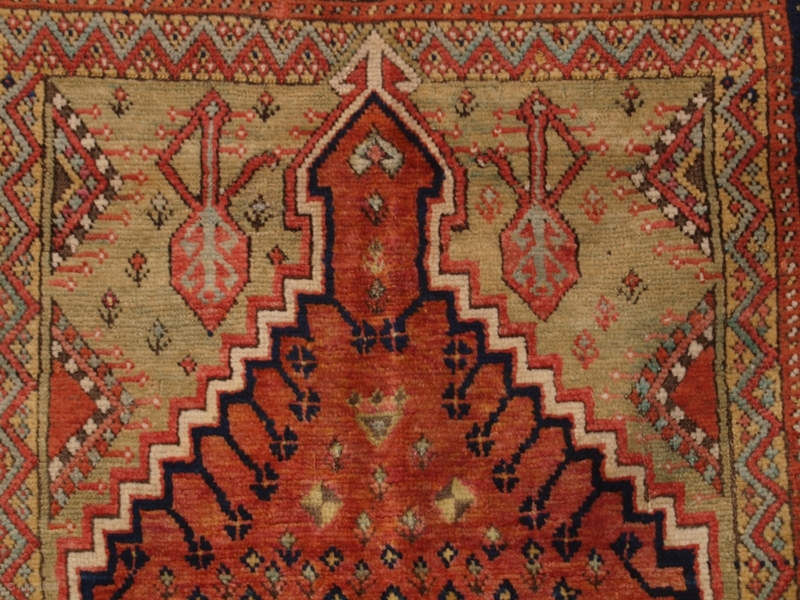 The rug is suitable for light domestic use. a superb wall hanging. Stock Number: h-119.